Every day at work, people do three things: talk, listen, and pretend to listen. That’s not surprising when you consider that the average attention span has dropped to 8 seconds. 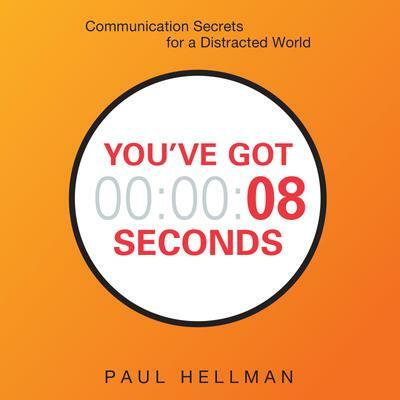 To break through, says high-stakes communications expert Paul Hellman, you need to focus on your audience, be slightly different, and deliver with finesse. You’ll discover practical techniques, including the fast-focus method™ that the author uses with leadership teams; how to stand out in the first seconds of a presentation; and 10 actions that spell executive presence. Whether pitching a project, giving a speech, selling a product, or just writing an email, with You’ve Got 8 Seconds you’ll get heard, get remembered, and get results.